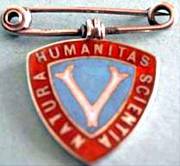 The Vegetarian Society’s badge as designed by Mahatma Gandhi, 1890. Collage of Mahatma Gandhi in his room at Mani Bhavan, Bombay. 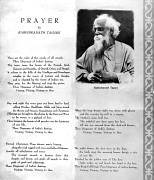 Printed prayer by Rabindranath Tagore. Linocut by Nandalal Bose: Bapuji, 12. April 1930 (Gandhi’s march to Dandi). White on black. Linocut by Nandalal Bose: Bapuji, 12. April 1930 (Gandhi’s march to Dandi). Black on yellow. Collage of photographs: Mahatma Gandhi walking. Collage of photographs: Mahatma Gandhi in characteristic postures. Collage of photographs: Mahatma Gandhi legs. Collage of photographs: Mahatma Gandhi writing. Manipulated photograph of Mahatma Gandhi (The familiar outline). Manipulated photograph of Mahatma Gandhi. 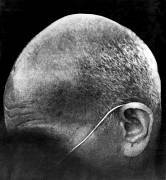 Cutout of photograph of Mahatma Gandhi.